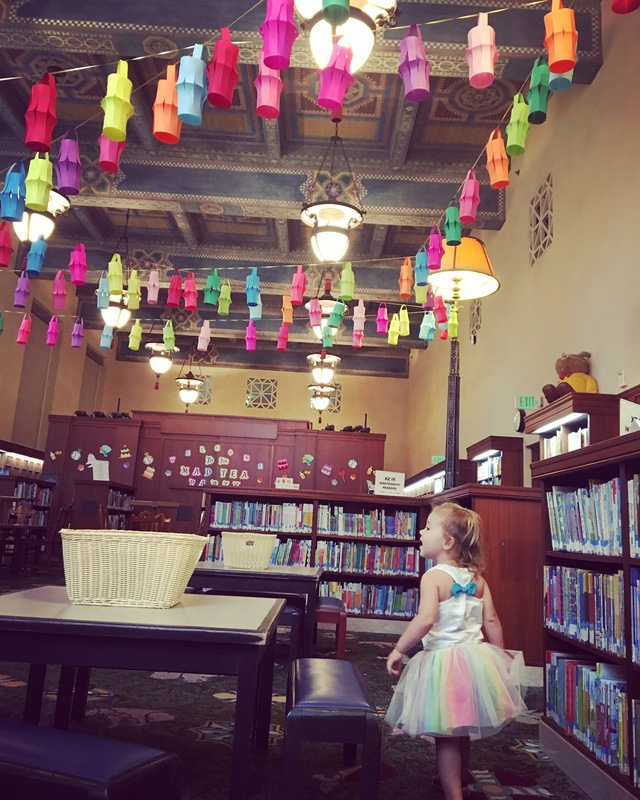 The Los Angeles Public Library, through the support of the Library Foundation of Los Angeles, puts on a Summer Author Series every summer. This is when you can meet an author, hear them read a bit, and possibly even get a signed copy of their book! I was able to meet two authors this 2018 summer. I got to meet Brandy Colbert at Vermont Square Branch Library, where a group of us sat around a table and had an intimate conversation with her. She even shared some of her earliest works from elementary school! 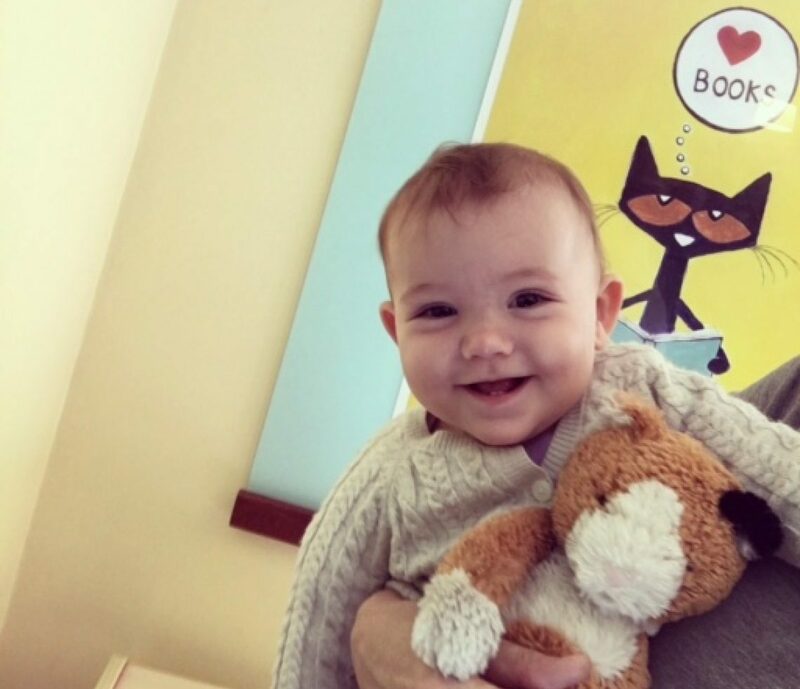 We all went home with a signed copy of her Stonewall Book Award winning book, Little and Lion. I’m excited to read it, and check out some of her other books, like Pointe and Finding Yvonne (which was just released this week! Congrats Brandy!). . .
On the same day I got to meet Brandy Colbert, Riley’s dad took Riley to the Lincoln Heights Branch Library to meet and hear Tao Nyeu read her book Squid and Octopus Friends for Always! Riley got a copy of the book, with a mini drawing as well! Thanks Tao, sorry I didn’t get to meet you, but I’m glad you got to meet John and Riley! I was then lucky to be able to take Riley and my mom to meet the Newbery Award Winner, Erin Entrada Kelly at Central Library downtown in the Taper Auditorium. Sadly, Riley could not sit through most of the talk in the auditorium, but Gramma G stayed and got to hear everything and filled us in afterwards during the book signing and reception! We did have a book read to us in the Children’s Literature Department by one of their STAR readers, Carlos, during our wiggle break. Thank you, Carlos! At the reception after Erin’s reading and talk, when Riley could wiggle around as much as she wanted, I got to say hello to a bunch of wonderful LAPL and LFLA people as well – some whom I even recognize now and know their names (and they know mine and Riley’s!) thanks to all of our library and author visits: Joanna, Diane, Rebecca, Shirley, Teri . . . I’m sure I’m missing people. Erin signed our books and took a picture with us. I can’t wait to read Hello, Universe and some of her other books like: Blackbird Fly, The Land of Forgotten Girls and You Go First. Thank you, Erin, and congrats on the Newbery Award! Thanks for such a great author series this summer, LAPL. I’m only sorry I couldn’t attend all of them. Check out our visits from last year, 2017, with the Caldecott Winner Javaka Steptoe and the Lee & Low New Voices Award Winner Andrea Loney! The Los Angeles Public Library and the Library Foundation of Los Angeles do amazing things for this city, and I’m so lucky I was able to attend these Summer Author Events. If you live in Los Angeles, make sure you frequent your local libraries. And if you’re not from here, come visit! Remember to visit Central Library to take advantage of viewing the beautiful murals in the rotunda, Visualizing Language: Oaxaca in L.A. that are viewable only until August 31, 2018.